Welcome to the Web's most comprehensive guide on the Ausangate trek, and it's extension to Machu Picchu. Although not as popular as the Inca Trail, the Ausangate trek is a stunning hike through the wildest and rarely visited areas in Peru. Traversing the Cordillera Vilcanota, the trek takes hikers over several high passes, down into low alpine valleys and through traditional Peruvian villages. You’ll see snow capped peaks, herds of llamas, glaciers and turquoise lakes, all set within an incredibly beautiful mountain range. 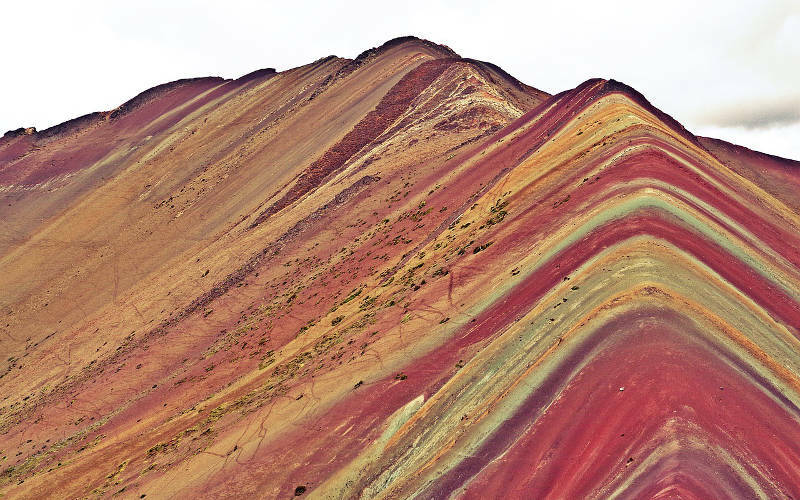 You will also get the chance to see the Rainbow Mountains of Vinicunca! Lying a 100 km south-east of Cusco is the impressive cordillera Vilcanota. The mountain range has several peaks over 6,000 metres, including the sacred Ausangate (6372m) – the highest mountain in the Cusco region. Unlike the Inca Trail, no permit is needed for the Ausangate trek. The trek is one of the quietest in the region and you’ll likely not see another trekker. Whilst most Ausangate treks are offered on a 6 day itinerary, certain companies will combine the trek with a visit to Machu Picchu. Camping is usually the norm on this route, however, some companies will offer the trek as a ‘lodge’ trek in which you will stay in very basic huts along the route. The Ausangate trek is one of the few treks in Peru that offers the option to ride a horse. Operators will provide the horses and extra horses will also be brought to carry your gear and equipment. However, certain sections of the trek are so steep that you’ll need to get off and walk beside your horse. If you are not a confident rider then trekking only tours are also available. The trek offers an array of wildlife including soaring condors, vicunas, bobcats and pumas. Camp sites are often beside beautiful blue lakes. You’ll also have the chance to bathe in several hot springs and view the trek’s signature rainbow mountains! The colourful sandstone mountains in the Vinicunca area is probably the coolest thing you’ll see in Peru! Ausangate mountain itself is considered a holy mountain (or mountain spirit) by local Peruvians and is the deity of Cusco. Since pre-Inca times the mountain has been a place of worship and offerings and this tradition continues today. The mountain is also notable for the Qoyllur Rit’I Festival which is held on the opposite side of the Cordillera Vilcanota, in the Sinaqara Valley at the end of May. The festival draws over 10,000 pilgrims each year and celebrates the mountains spirit and the apparition of Christ on the mountainside. 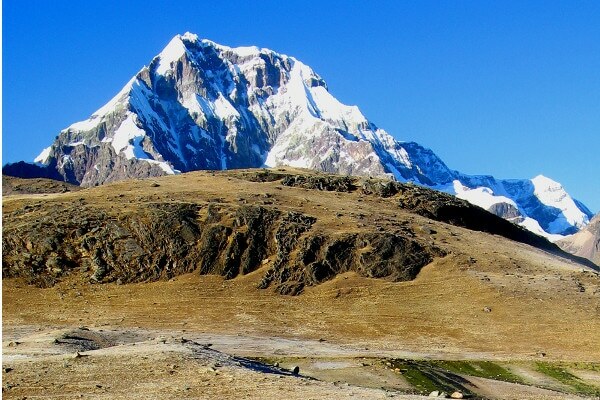 With several high passes over 5,000 metres, the Ausangate Trek is considered fairly difficult. 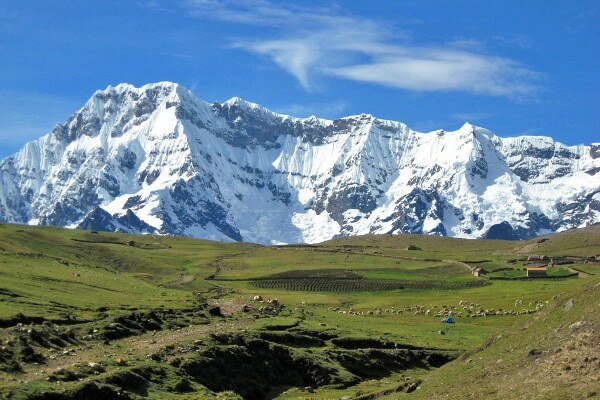 The trek is classified as grade C which means the trek is fairly long and many sections are at high altitude. You’ll need a good level of fitness and stamina as you’ll be trekking over many steep sections in which the altitude changes significantly over a short space of time. The trail itself is fairly good and well defined. If you are using horse, you’ll most likely be on horseback for much of the flat sections. Your operator should allow good time for acclimatization. This trek is probably not suited to first time trekkers. If you are a strong walker and have completed some moderate treks prior to this then you should be fine. Often weather can get quite rough in the higher regions and blizzards are certainly not uncommon. As there are several high sections on the trek you should make yourself aware of Acute Mountain Sickness (AMS) and how to diagnose and treat the sickness. The important thing is not to rush. If you have chosen a good operator they will take this into account. Here is a really beautiful short video from Contemporary Nomad that shows the incredible landscapes of the Ausangate Trek. There are several route itinerary options for the Ausangate trek, including a 4 day, 5 day, 6 day and 7 day itinerary. The most popular is the 6 day itinerary which we have laid out below. 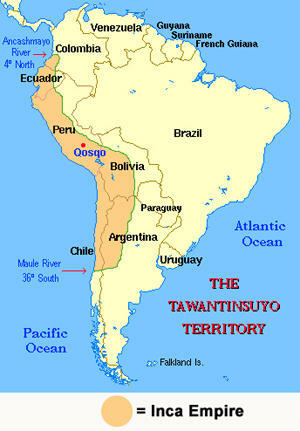 Most tours will start in Cusco from where your opertor will drive you southeast to Tinki. You’ll most likely stop on the way at the towns of Ocongate and Qatca where you you can have a drink and see some local culture. The journey to Tinki takes roughly 3.5 hours. From Tinki your trek begins proper. You start by trekking through the Vilcanota Valley before steadily climbing upwards to some high grasslands. Here you get your first glimpse of the Vilcanota range, including both Ausangate and Colqe Cruz peak. You cross the Mapacho river before continuing on through local community villages towards the base of Ausangate. You camp near the thermal baths at Upis (4,408m). According to local legend, the baths are medicinal and many pilgrims seek the baths each year to heal. The morning begins with your first mountain pass crossing – Arapa (4,850m). The views of Ausangate from Arapa pass are stunning and you’ll want to get your camera ready! After reaching the pass you stop for a light lunch before descending down into the valley on a well-trodden gravel trail. On your descent you’ll pass the green lake of Puqa Q’ocha (4556m). Once back down in the valley you camp for the night beside the gorgeous blue lake of Jatun Puqa Q’ocha. 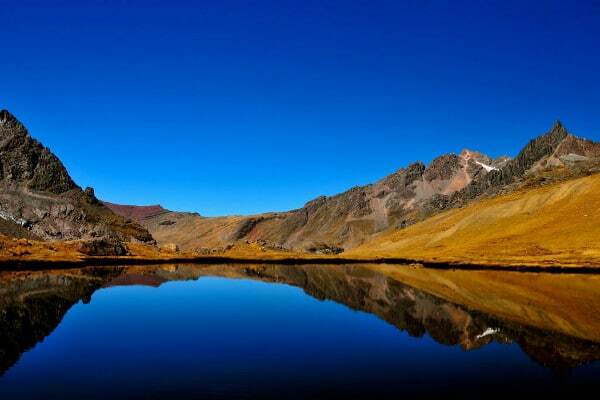 From your camp site you can choose to climb a nearby ridge to view the red-tinged lake of Vino Q’ocha. Each lake in the region is coloured differently depending on the coloured sediment of the nearby mountains. Day 3: Today you tackle the highest pass on the trek – Palomani (4,800 m). Your trek will begin early and you’ll begin by passing herds of alpacas and llamas whilst always keeping the looming form of Ausangate on your left. After reaching the the top of the pass you’ll be rewarded with breath-taking views across the southeast mountain range. You’ll also be able to see the peaks of Mariposa and Caracol in the distance. This is a great location to spot solitary condors and marvel at their enormous size! After descending back down you follow the Jampamayo River through the small village of Jampa before arriving at your camp site – Chillca (4,456 m). Today is a slightly easier trek as you follow the Pampa Jutunpata valley along the shores of Lake Ticllacocha. The valley is a great place to spot wildlife, so look out for vizcacha, vicuñas and bobcats. You’ll stop and have lunch before tackling the last of the passes – Q’ampa pass (5,000m). From the pass you can see several lovely coloured lakes glimmering in the sunlight. You then descend down the other side and camp beside the blu-green lake of Q’omercocha (4,704m). After breakfast you continue your descent until you come to the village of Pajchanta (4,010m). Local village people make their living here from herding and farming and the village is an extremely authentic insight into traditional Peruvian culture. The village is also home to some very picturesque natural thermal pools that you can soak your weary bones in. Some operators will press on for another 3 hours to the town of Tinki, however, most camp at Pajchanta for the night. You trek to Tinki in the morning and say goodbye to your guide and pack horses before boarding your bus back to Cusco. Occasionally a tour operator will offer the Ausangate trek in conjunction with a visit to the ancient citadel of Machu Picchu. If you have a little more time on your hands and want to see the magnificent ruins then this a great option for trekkers. The itinerary is almost identical to the one above until you get to the final day when things change slightly. Instead of trekking from Pajchanta to Tinki, you trek from Pajchanta to Laguna Armaccocha. See below for details. You’ll have the chance once again to bathe in the thermal pools before setting off in the morning from Pajchanta. The trek is on a well trodden route through remote highlands. You’ll likely see more herds of alpacas and llamas. The trek is a fairly short one and you arrive early in the afternoon at the beautifould lake known as Laguna Armaccocha (4,665m). This is a lovely place to camp as the snow-capped Nevado Collque Cruz peak sits directly above you overlooking the blue lake. After breakfast you continue trekking northeast. You climb a steep shoulder and cross a narrow pass before reaching an incredible look-out point at 4,940 metres. From the look-out you get a gorgeous 360-degree view of the surrounding mountains, including several 6,000 metre peaks! From the look-out point you descend down to the shores of lake Singrenacchocha (4560m) where you camp for the night. Today is the final day of trekking. You hike along lake-shore to its river sources and then follow the river as it gently descends to Mallma at 4,230 metres. You have lunch here before boarding a bus that will take you back to Cusco and then on-wards to Ollantaytambo where you check into a hotel. From Ollantaytambo you can take a 90 minute train to Aguas Calientes. To see how to get to Machu Picchu visit this article. 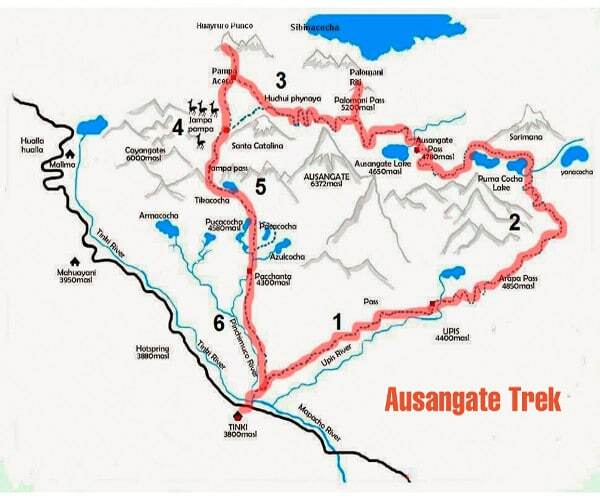 The best online map for the Ausangate trek that we have managed to find is the one below. Please note, the map is not to scale and the trailmarked on the map is only representative of the general direction of the route. Due to the lack of hand held maps for the Ausangate trek, the best option is to buy the Lonely Planet Trekking in the Central Andes guidebook map. Although not as detailed as many maps, the map of the Cordillera Vilcanota is decent enough for experienced trekkers to find their own way if they want to trek the circuit without a guide. 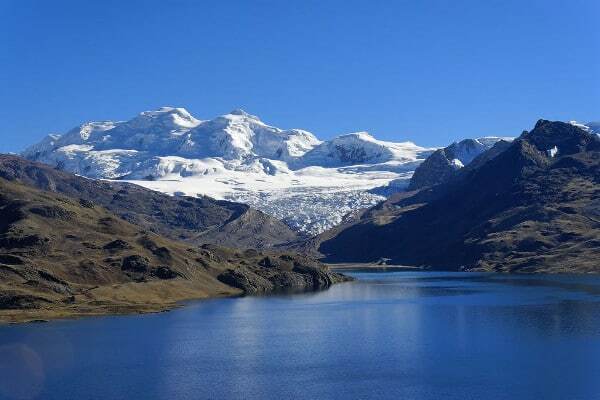 Like most trek in the region, the best time to do the Ausangate trek is in the dry months between May and September. Unlike other popular treks, the Ausangate trek is very quiet, even in peak season. In the shoulder months of April and October weather is still pleasant and the trek is very possible. However, because of its altitude you’ll have to contend with freezing nights, even in the dry season. Because of the altitude and snow, the trek is best avoided in the wetter colder season between November and February. Temperatures during the day in the dry months are usually quite mild and visibility is very high. Because of the height you’ll want to make sure you are wearing layers, especially for the colder nights. Please see our packing list below for suggestions. The Ausangate trek is one of the highest altitude treks in Peru and obviously comes with certain altitude sickness risks. Altitude acclimatization is the key factor in ensuring you have a safe and enjoyable trek. We suggest that you take a while to read our detailed guidance article on altitude sickness and acclimatisation. The equipment and packing list for the Ausangate trek is essentially the same as the Inca Trail, but you will need more changes of clothes as the trek is longer. You can access the complete packing list for the Inca Trail here. We hope you have enjoyed this article. If you have any further questions about the Ausangate trek, please leave a comment below and we’ll get back to shortly. Hey, thank you for such good overview on the trek! I`m highly interested in finding the Vinicunca mountains but I can´t find any map or specific information regarding to it´s location.. Could you help me please? Thank you very much for sharing this insightful post. I wanted to ask you when the best time would be to go to see the rainbow mountain area? Is the dry season the best time? Or is it all year round? Hi Taira, I haven’t been to the vinicuna mountains in the wet season, but the vistas were pretty impressive in October (end of the dry season). All the best! How many days should I select to trek if I wanna see Rainbow Mountain? 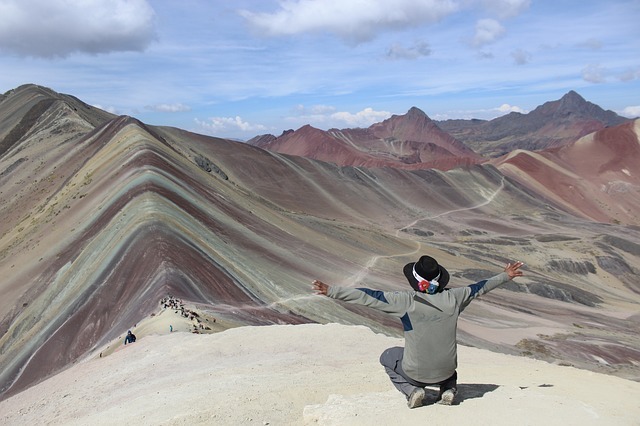 Hi Soraya, it is possible to drive from Cusco to the foothills of the Vinicuna mountains and then do a day hike to the Rainbow Mountains. But to avoid altitude sickness i is worth spending a few days in the Sacred Valley before. Cheers! Is it possible to do this trek without a guide? Hi Bailey, yes it is but wayfinding is challenging. I would recommend taking a guide or joining an organised tour. All the best! How do we find a guide? My parents and I are going in June and really want to see these beautiful rainbow mountains but can not find a guide for a day trip. Could you please help me ASAP? It’s become very popular to do it in one day from Cusco. All agencies offer one day treks but beware that many people fell ill due to altitude sickness and there was no guide in sight, even though ours showed us his oxygen tank before sending us up on the 5 hour venture alone. Also, the 3am bus was the coldest thing I’ve ever experienced. bring an emergency blanket and make sure you are well prepared for altitude with your own emergency support. (And loads of coca leaves). Hello Mark my name is Cesar and I am a local tour guide. I have read your article it’s very informative congrats. For your post. So if you need any Q&A let me know he e a good one. We are very interested in doing the Ausangate trek + machu picchu extension trek in May June 2017. Could you get me in touch with good companies that organise it. We need to have some idea of notices too. I meant idea of prices and budget. Thanks for sharing our video with your readers. We spent 6 months in Peru exploring almost every corner of the country. The Ausangate trek was definitely one of our favorite things we did, and we can’t recommend it highly enough. Absolutely stunning! It’s an awesome trek and great video,so delighted to share it! All the best with your travels! What is the cost of the 6 day trek, with and withour horses? My wife and I are doing a tour in Jan 2017 in Ausangate. We were wondering how cold will the hike actually be? Will it be raining/ snowing most of the time? Hi Layne, You can expect relatively cold temperatures, particularly on the higher sections of the trek and during the night. There will also be more than the dry season so make sure to have good wet weather gear. Hopefully you get a great week of weather! But better to be prepared. I am looking to take this trip alone. Is it possible to camp each night as opposed to staying in the lodges? Second question. You mentioned wayfinding is a challenge, would a topographical map serve to aid this end? Hi Andy, yes it is possible to camp every night (you will obviously have to carry your own tent) and if you can find a good topographical map then this would serve to help navigate the route, but I haven’t come by a good map for the area before. From a safety perspective I recommend taking a guide. All the best! Hello, we are a group of 5 and we are planning to go to Vinicunca Mountains on July. How is the weather on this month? What clothes should we bring? We are planning to take the one day tour and hire some horses. Can we ride the horses the whole way? Thanks for your help. Hi Beatriz, July is a good month for trekking in the Cuzco region. You can get a sense of weather here: https://www.machupicchutrek.net/best-time-to-hike-machu-picchu/ but please note micro climates are present so this information may be different for the Vinicunca Mountain region. 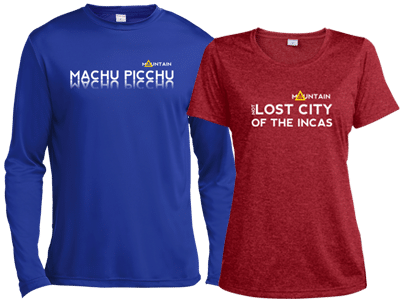 I recommend you check out our packing list for the Inca Trail as the same clothes and gear principles will hold: https://www.machupicchutrek.net/inca-trail-packing-list-machu-picchu/. I’m not sure about hiring and riding horses – hiring mules to carry gear is pretty common but riding them less so. All the best! Great post. You might want to correct the Qoyllur Rit’I Festival location. It isn’t held on the base of Ausangate. Its held on the opposite side of the Cordillera Vilcanota. On the Sinaqara Valley. Hello, we are 3 people and we wanna do the ausangate trekk. What is the price for us especially as our third person would need a horse or donky or.. to rode due to a bad hip. We would like to start in a view days. Thanks we are awaiting your answer! Hi, did you managed to hire the horse? I’m in the same situation as you, one person is in bad shape but we want to bring her, at least a donkey to carry her backpack. Hi, Is the Ausangate Trek still offered and doable in the wet season, like in January? How would I go about booking a guide? Thanks! Yes, the Ausangate trek is still doable in January. You can book a tour before you depart, see our tour recommendation service, or you can organise a guide when you get to Cuzco. Hope this helps!